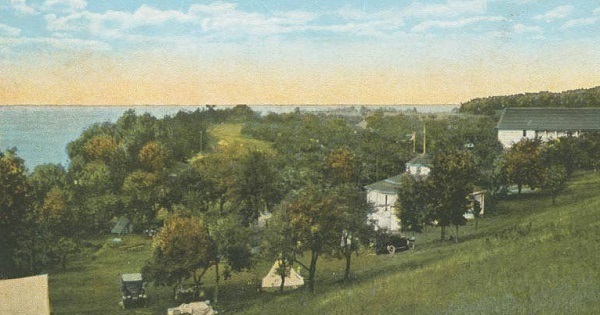 Vintage postcard view of Orchard Beach State Park, Manistee. Courtesy of the Archives of Michigan collection. PHOTO FOLDER: Larger, higher-res versions of the images used below, and others, are available in this folder. See the full draft agenda and other information about the commission on the DNR webpage Michigan.gov/NRC. Questions? Contact Cheryl Nelson, executive assistant to the commission, 517-284-6237. In case you missed it, three DNR employees recently were honored for their work with turkeys and pheasants. DNR wildlife biologist Brian Piccolo's commitment to helping the National Wild Turkey Federation achieve its goals for habitat conservation and preservation of turkey hunting heritage was recognized last month at the group's Michigan State Chapter Convention in Big Rapids. Conservation partners program specialist Mike Parker and upland game bird specialist Al Stewart were recognized by Michigan Pheasants Forever at January's state convention in Lansing. Parker was presented with the Michigan Pheasants Forever Partner of the Year award. Parker was nominated for the award for being an active member of the Michigan Pheasant Restoration Initiative steering committee and leading its Habitat Task Group. 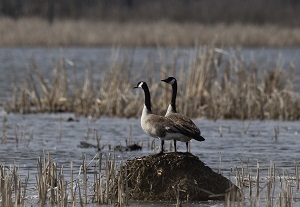 Parker provides leadership to many involved with the initiative, including DNR staff, Farm Bill biologists and Michigan United Conservation Clubs cooperative coordinator Morgan Warda. Stewart was honored with the first Michigan Pheasants Forever Lifetime Service Award. His career has spanned well over four decades in Michigan wildlife management. He has been the state’s upland gamebird specialist for close to 20 years, and before that, worked as a wildlife biologist in southern Michigan. Stewart has been a strong supporter of Pheasants Forever, working at the organization’s National Youth Leadership Council training meeting in Michigan, contributing greatly to its success. He also has been working closely with Pheasants Forever on oversight of the Enbridge Fund and the Adopt-A-Game-Area program. Looking for something the entire family can do? 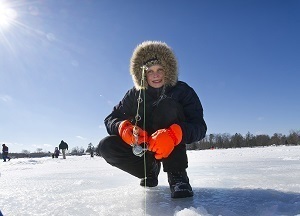 Try a winter scavenger hunt Feb. 16 at Wolf Lake State Fish Hatchery in Mattawan, a fun way to explore Michigan's great outdoors. If you'd like to help the Michigan History Center share our state's unique stories, consider helping out as a tour guide, docent, greeter or other MHC volunteer opportunities.